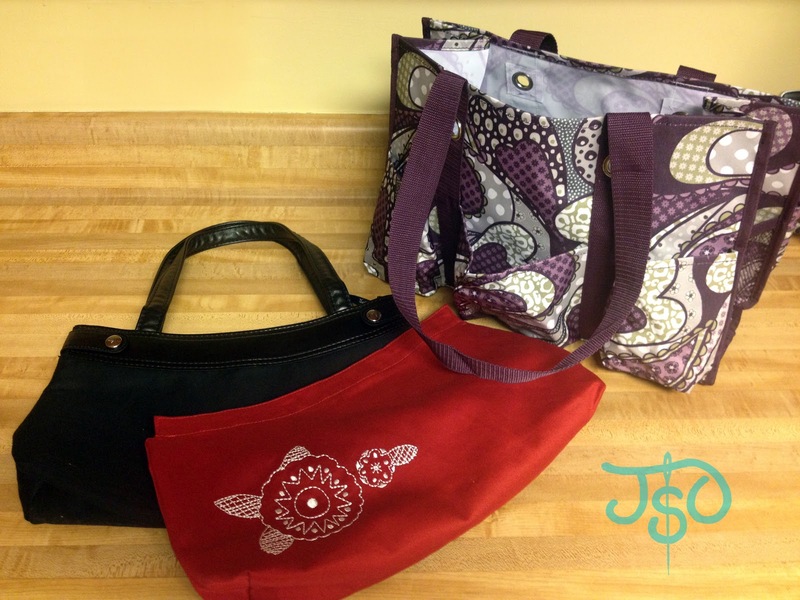 JustSewOlivia: Thirty-One Skirt Purse Sew-Along, Operation Homefront and GIVEAWAY Step 2! 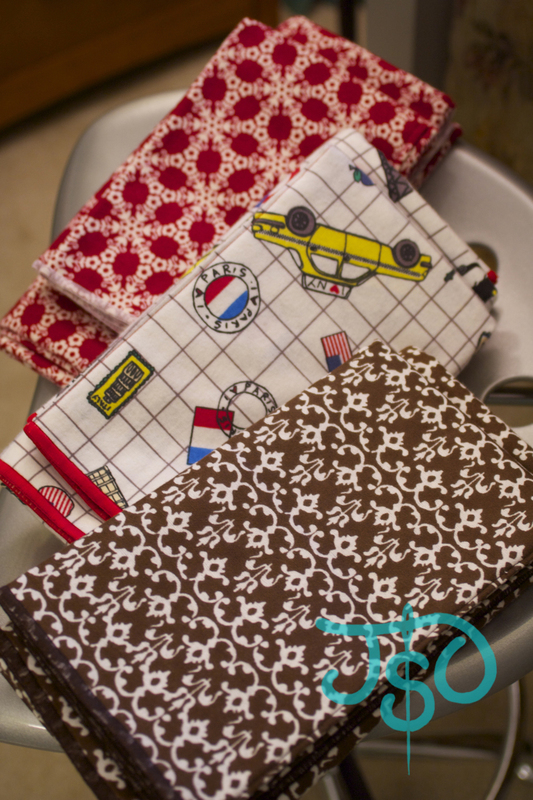 Thirty-One Skirt Purse Sew-Along, Operation Homefront and GIVEAWAY Step 2! Okay, try to ignore my hideously ugly kitchen counters and check out these beautiful Thirty-One bags! I'm uber-excited about the skirt purse. I bought it specifically so I could make my very own cute skirts out of any fabric that suits my fancy! In fact, in a few weeks, I'm going to do a Skirt Purse Sew-Along! (...more on that below.) This is the complimentary skirt I picked to come with it. Pretty, yeah? In My Other Life I have to carry a black purse all the time with my uniform, so I'm a sucker for a bright color the rest of the time. I love this pop of red. The other bag is an organizing utility tote that I bought for a friend to use as a diaper bag. My only beef with it is that it's unlined and has no interior pockets, but it IS gloriously wipe-able. So my plan is to make a pretty organizing liner for it that folds over the top and ties around the straps. When it gets dirty, she can just take it out and throw it in the wash! (Best laid plans, right?) The grommets in the sides -- centered on the straps about an inch below the lip of the bag -- should give me a little spot to anchor my ties so the liner stays in position. We'll see how it goes. I have about three months before she pops, so I should be able to make something cool by then. Speaking of My Other Life: I'm not a big party hoster, but Thirty-One is doing something cool this month. In honor of Veteran's Day, they're giving to a military charity called Operation Homefront. So I decided I could handle an online party. (No picking all the thread tails out of the carpet before the guests come.) Here's the deal: If you make a $35 purchase, you get a medium utility tote for $5. For every medium utility tote they sell in the first part of November, they're donating an insulated lunchbox-like bag, called the Thermal Tote, to Operation Homefront. So, you spend $40 for two bags to keep and they give an $18 bag away. Not bad. If you're not familiar with Thirty-One, it's a company that makes bags and organizing products, offers personalization/embroidery, is relatively affordable for direct marketing and the company ethos embraces empowerment of women in a family values environment. All good things in my estimation. I've made some pretty high-speed bags, including an amazing organizing diaper bag. If you sew a lot, you probably have the skillset to make many of the products, but for the quality and price, I simply don't always have the time or inclination. A really professional, structurally-reinforced and padded bag with all the bells and whistles can wreak havoc on a domestic machine. (Ask me how I know!?) So if I'm going to buy most of my bags rather than make them, why not buy them from a friend and help out a military family at the same time? So that's the scoop. If you're interested in helping out a charity, via my very cool inspiring friend who does this to supplement her family's income, here's the link to her site. Click the link to "My Parties" and then choose the "Shop Now" link beside "JustSewOlivia's Online/Catalog Party." I wholeheartedly recommend the skirt purse, and if you buy one (or have one already) you can participate in the December Skirt Purse Sew-Along! Sounds like a fab Christmas gift if you ask me. :) The online party closes out November 20, so don't wait! Oh yeah, and I owe you Step 2 of the giveaway! Don't forget that the winner gets to pick one of these cute handmade baby gift sets by yours truly. Step #2: Like the JSO Facebook page, then leave a comment telling me you did. If you're already a facebook fan, leave a comment letting me know!